And so the Brexit saga continues. After Theresa May's historic loss last night, in which her deal for leaving the EU was rejected in the House of Commons by 432 votes to 202, Labour leader Jeremy Corbyn tabled a no-confidence motion in her government. Members of Parliament will be debating this topic today before yet another vote, leaving none of us – even the MPs – any the wiser about Britain's place in Europe. 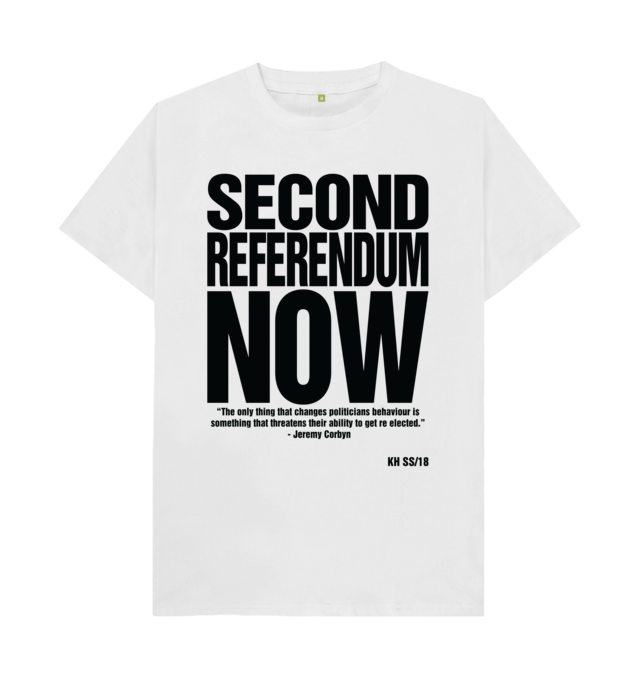 The British Fashion Council (BFC), meanwhile, has publicly called for a second referendum in light of the latest parliamentary drama. 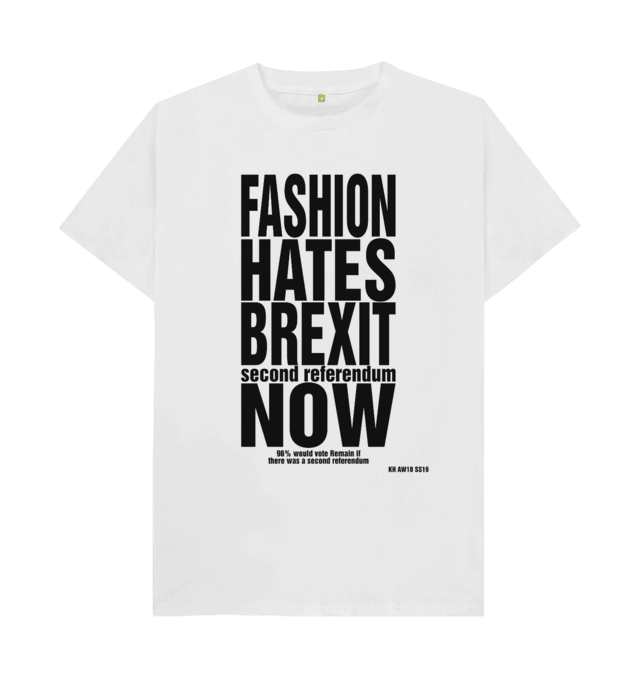 "As the British Fashion Council, we emphasize that a No Deal Brexit is a scenario that should be avoided at all costs," it said in a media statement released today. "The ongoing uncertainty and confusion that a no deal creates will have a negative impact on our industry, where investment is already impacted from the uncertainty being faced. A no deal situation will result in no transition period, and with an industry that is predominantly SMEs [small and medium-sized enterprises], we would struggle to cope with the trade realities that it would bring." The BFC has made clear its support for remaining in the EU since the Brexit referendum back in June, 2016. In the lead-up to the vote, it surveyed 500 designers and found that 90% wanted to remain, against 4.3% who wanted to leave and 2.4% who were undecided. London Fashion Week in September of that year backed Mayor Sadiq Khan's message that 'London is Open' and the BFC has continued to communicate with the government, the Creative Industries Council (CIC), and Creative Industries Federation (CIF) about the impact of Brexit on the industry. According to the BFC, the fashion industry is worth $41 billion and provides more than 890,000 jobs across the UK – making it almost as key to the economy as the financial sector. London Fashion Week's schedule is always brimming with designers from diverse backgrounds, so it comes as no surprise that the industry is keen to keep Britain an open-minded and accepting country. 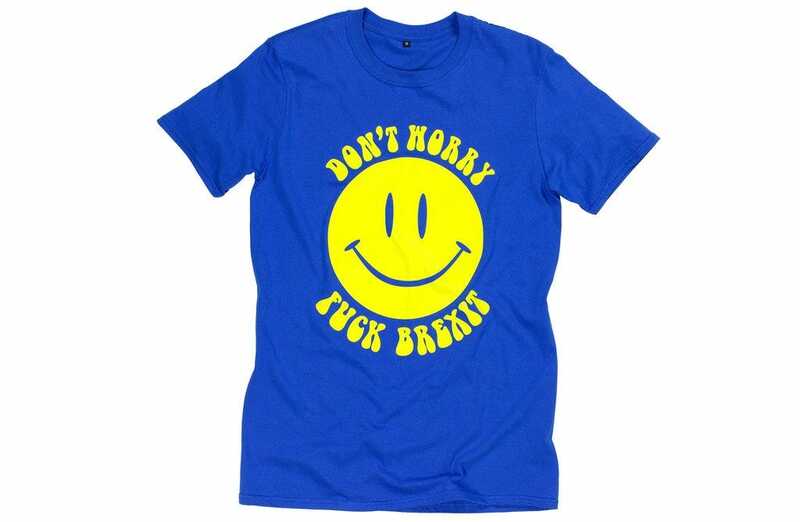 Vivienne Westwood and Katharine Hamnett, legendary designers and key voices in the industry, have created pieces that reflect their feelings on the vote, from Westwood's Brexit EU flag heels to Hamnett's 'Cancel Brexit' slogan tees. 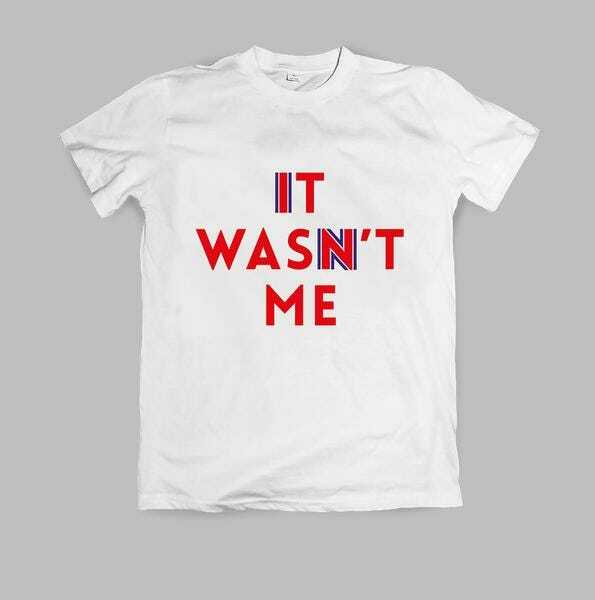 And it's not just British designers that have produced merch in support of Britain's place within the European Union – Vetements created a blue star-spangled hoodie last year, too. "Considering the above and the industry’s preference to remain, based on all polls pre- and post-referendum, we are supporting the call for The People’s Vote as the preferred current option to minimize the impact to industry based on there being no valid deal on the table," the BFC continued. "We will continue to work with Government and designer businesses to navigate these difficult times and consider all options put forward." Since last night's vote made the situation clearer for literally no one, we'll have to sit tight and see what steps the government makes next. 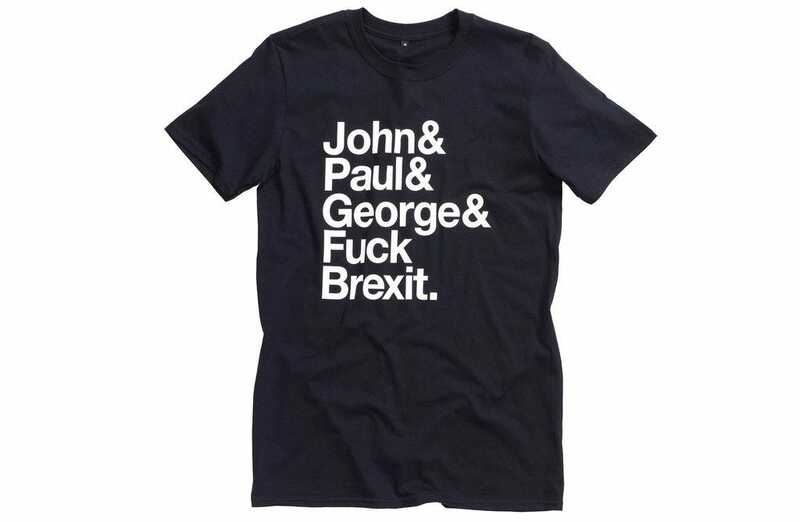 In the meantime, here are some Brexit-themed pieces to shop because, hey, we should support the British economy while we can folks.